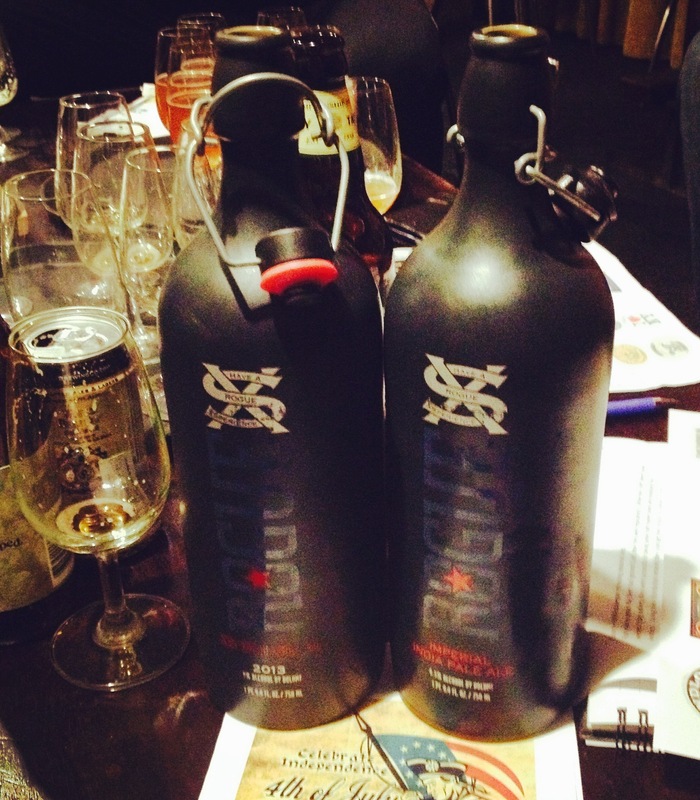 In May 2015, a parcel of Rogues aka the Thirstyboys wandered into a bar, Hashigo Zake Cult beer bar as it happens. 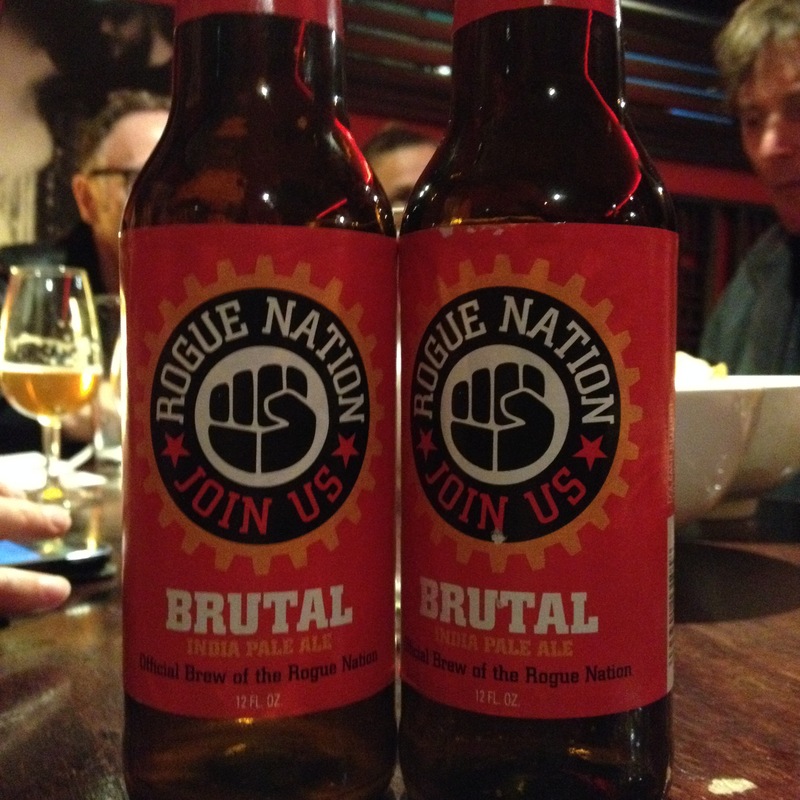 The occasion, a tasting of beers selected from the range of Rogue Ales of Newport, Oregon – a long established player in the American craft beer scene (founded 1989). Not at all brutal by current hop-crazed standards, this beer is more like a beeted up bad boy version of Coopers Sparkling Ale (as described by the Gingerbeardyman). It would pair well with fish and chips or a flavorsome pie. 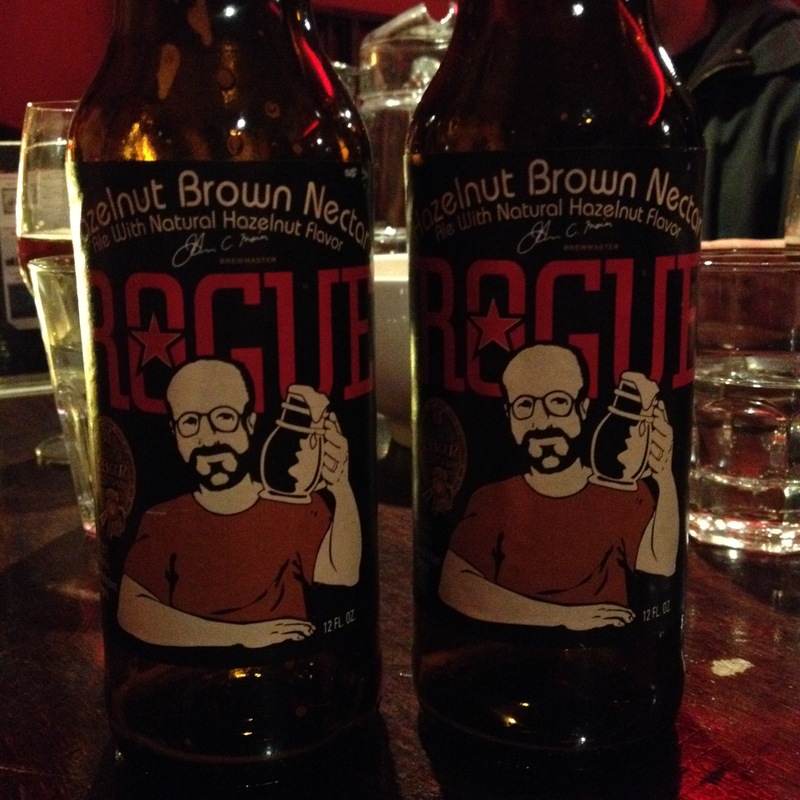 Brown ale enhanced by hazelnut essence, i.e. what it says on the tin, the nectar reminded us of a nutty liqueur. According to the Little One; “peanut brittle in liquid form”. This might work well as a winter warmer. Potential food matches: pork roast, boysenberry ice cream, pancakes. “Smells more than it delivers,” opined the Little One. However, the rest of us felt it held its sweetness better than the two preceding beers. Among suggestions for food pairings were roast chicken, Maggi Onion dip and sticky date pudding with custard. Nice, smooth, boozy and definitely chocolaty, we liked this so much we drifted into conversation about television current affairs programmes (or lack thereof). Food match: spicy salami on rye. Hopsessive Grassy as a sauvignon Blanc or a freshly cut lawn opined Mr Horse. Either way it caused Gingerbeardyman to succumb to some cub scout inspired PTSD. We might drink this with a creamy pasta, say carbonara. 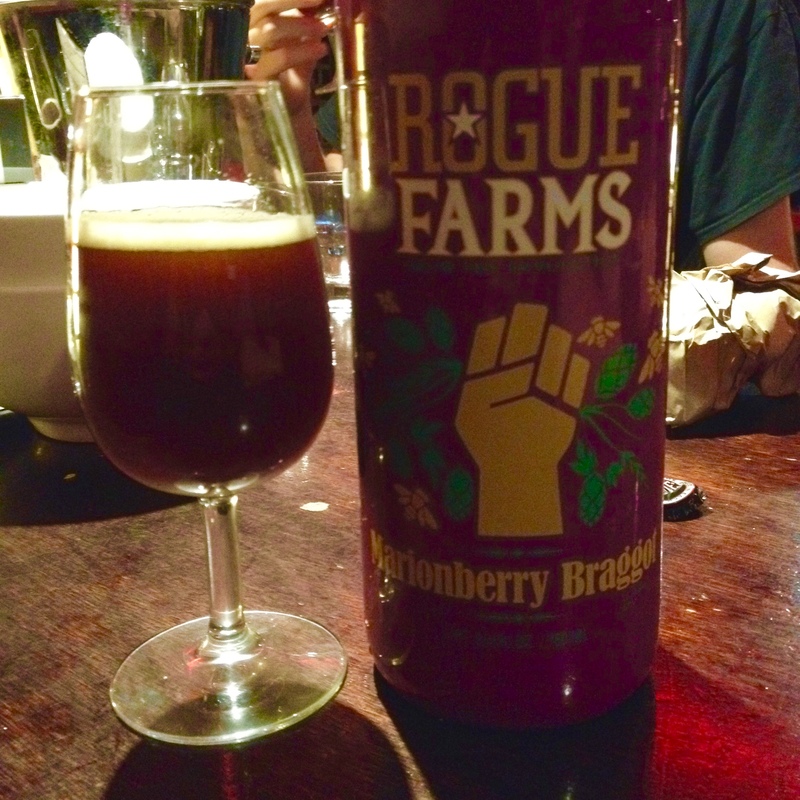 This beer incorporates 17 ingredients, notably marionberry a cultivar indigenous to Oregon aka (Rubus L. subgenus Rubus) or Marion blackberry. 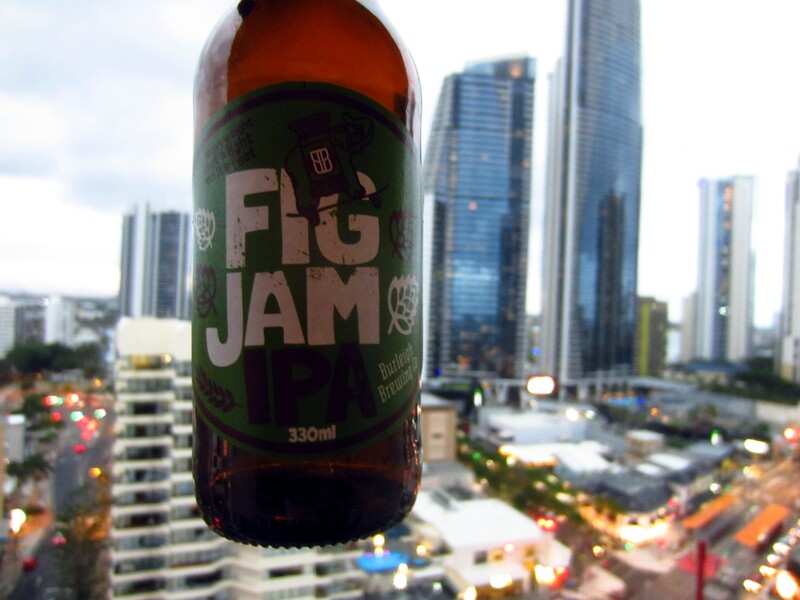 An award winning brew in 2014 and 15…a big way to end the night. Over two hundred and forty years ago American patriot Paul Revere rode through the night to warn revolutionary leaders John Hancock and Samuel Adams that the British army was advancing upon them. 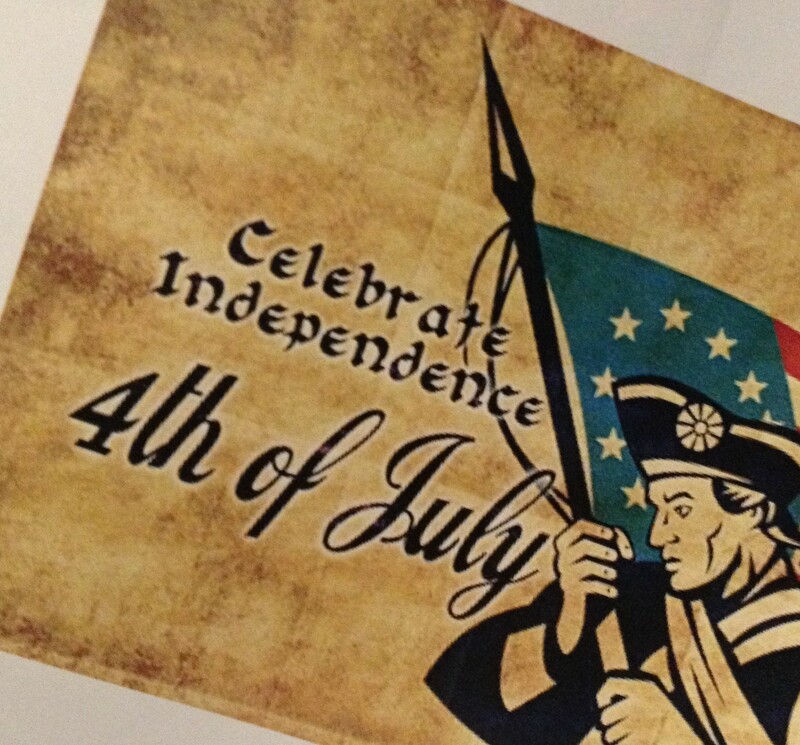 As the fourth of July draws near we Thirsty Boys gathered at The Malthouse to celebrate that other revolution, the American craft beer revolution. Here’s something to think about. If you could walk from Wellington to Portland, Oregon (7125 miles) with all the craft breweries in the United States (approx. 2768) spaced evenly along your journey, you would be able to get a beer every 2.5 miles. Now a beer tasting spanning fifty years and over 2000 breweries cannot obviously be summed up with five beers in one night. This was going to be challenging. It is a shame that Beer Without Borders, the Malthouse and others don’t regularly import beer from anywhere near 2000 US craft brewers. However, before Dominic corrects me, I admit, my assumption here is as accurate as Nick Smith’s Auckland house-build calculator. 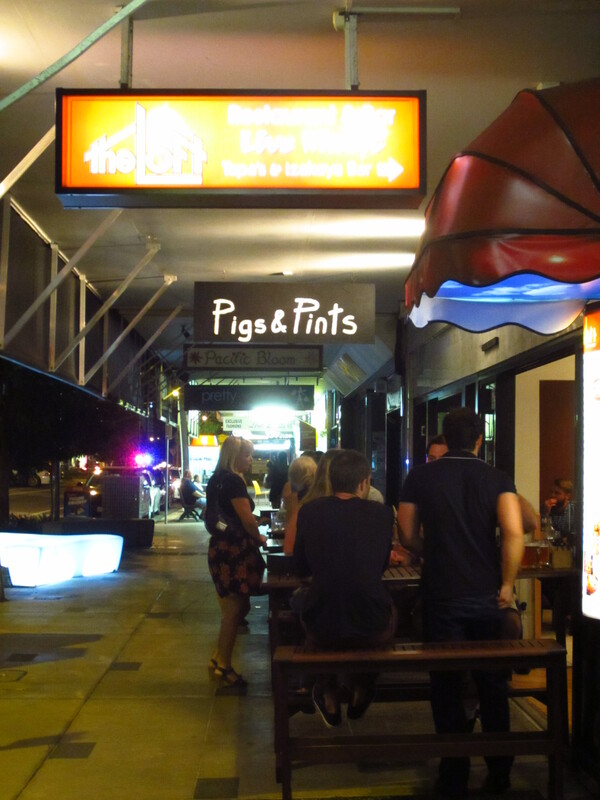 So to make the tasting harder I had to find a bar in Wellington with a selection through which I could weave a historical narrative, of fifty years, through five beers. It wasn’t easy. In 1965, when a restaurateur and friend told him that the brewery of his favourite Anchor Steam Beer was about to close, and that he should pay them a visit, Fritz Maytag did that. He saw potential and bought himself a brewery, Anchor Brewing Company. Maytag would set about improving the quality, consistency and, in fact every aspect of the brewery. He was not an overnight success. For Maytag it was a long hard grind. Despite this, Maytag’s contribution to the craft beer scene was far-reaching. Maytag would inspire many craft brewers, and he shared his knowledge with visitors to his brewery. It seems that any American craft brewer of note had at one time visited the Anchor Brewing Company. In 1974 Fritz Maytag visited the United Kingdom searching for inspiration. 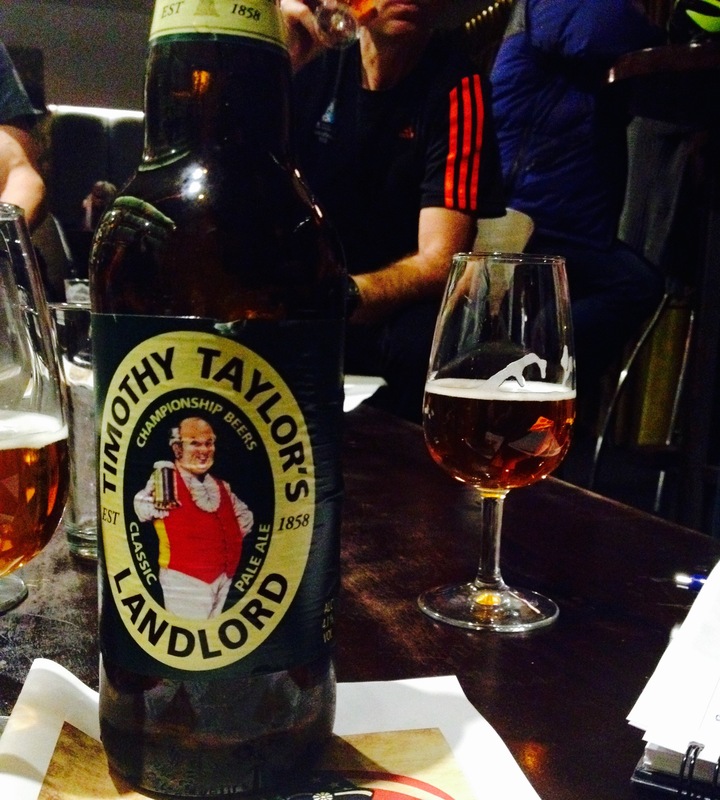 One beer that impressed him above all others was Timothy Taylor Brewery’s The Landlord, a hoppy pale ale. Somewhat suitably we start our American revolution with an English classic. Beer no. 1, Timothy Taylor’s The Landlord. West Yorkshire, UK. ABV 4.1%. IBU approximately 30-40. This delicious ale poured a fantastic clear gold, with good hop and malt balance, worthy of its four CAMRA beer of the year awards. Back in San Francisco, Maytag would brew his take on The Landlord to commemorate the 200th anniversary of Paul Revere’s midnight ride. Anchor’s Liberty Ale first brewed in 1975 was the historic beer that started a revolution. 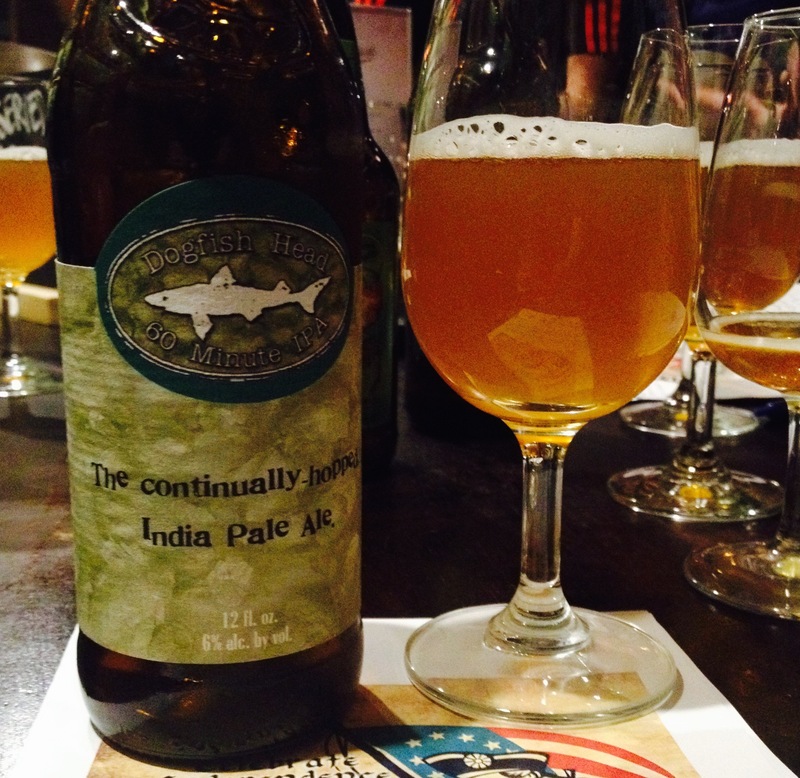 The big American breweries which dominated the market were serving watery lagers with 10 IBU. Maytag wanted a flavoursome beer with up to 40 IBU. Ideally for our tasting, beer number two would have been Anchor Liberty Ale, which was still on Malthouse’s website, but not in stock. In 1980 a part-time bike mechanic and home brewer, Ken Grossman and his acquaintance Paul Camusi started a brewery in Chico, California . Inspired by Liberty Ale and its American grown Cascade hop, Grossman and Camusi brewed the Sierra Nevada Brewing Company Pale Ale. Beer no. 2, Sierra Nevada Pale Ale. Chico, California, USA. ABV 5.6%. IBU 38. The Sierra Nevada complemented Timothy Tale but the Cascade hop was significantly more forward on the palette. 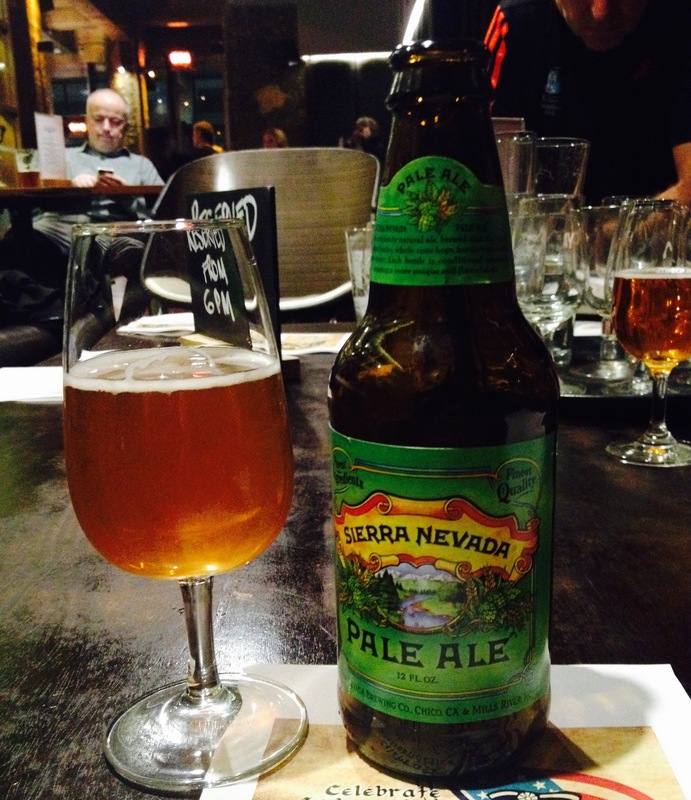 Indeed, with generous helpings of Cascade hops, Sierra Nevada Pale Ale became the beer which would define the West Coast Style. As a side note, home brewing of beer above ABV 0.5% was illegal in the United States until 1978. This opened the way for the relatively ‘quiet’ home brew culture to become a fully fledged and sanctioned industry led by the likes of Charlie Parpazian who formed the Brewers Association, published The Complete Joy of Home Brewing and founded the Great American Beer Festival. [Thanks to the Jesuit for bringing up the important and relevant point of home brewing and Jimmy Carter’s influence]. If I was able to have Timothy Taylor’s Landlord, Anchor Liberty Ale, and Sierra Nevada Pale Ale my next beer would have been from the now defunct New Amsterdam brewery. 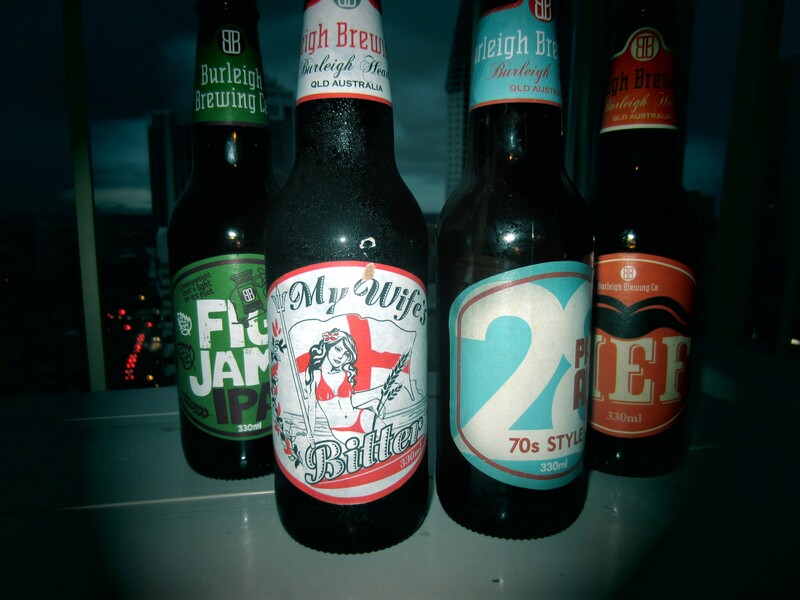 In the very early eighties Matthew Reich pioneered successfully craft beer contract brewing. New Amsterdam beer was brewed at F.X. Matt Brewing in Utica, New York. While F.X. Matt brewed his beer, Reich was out marketing it, walking the streets of New York and getting New Amsterdam into bars and restaurants. When New Amsterdam did become a physical brewery it didn’t last long. Matthew Reich’s legacy included offering consultations to budding contract brewers. One man who paid for a consultation with Reich was Jim Koch. In 1984 Koch, a Harvard graduate, one-time Outward Bound instructor and management consultant, co-founded a brewery which, by nature of its success would go on to challenge the definition of Craft Beer. Jim Koch came from a family of brewers and when he told his father he wanted to start a brewery he received two good pieces of advice. First, make good beer. He wouldn’t compete with the marketing budgets of Big Beer companies, but he could make a superior product to drive demand. Secondly, “You don’t need a brewery”. And so it was that the beer was brewed under contract in Pittsburgh. I believe it is entirely appropriate in any 4th of July or American craft beer revolution tasting to include Boston Beer Company’s flagship beer, the Samuel Adams Boston Lager. 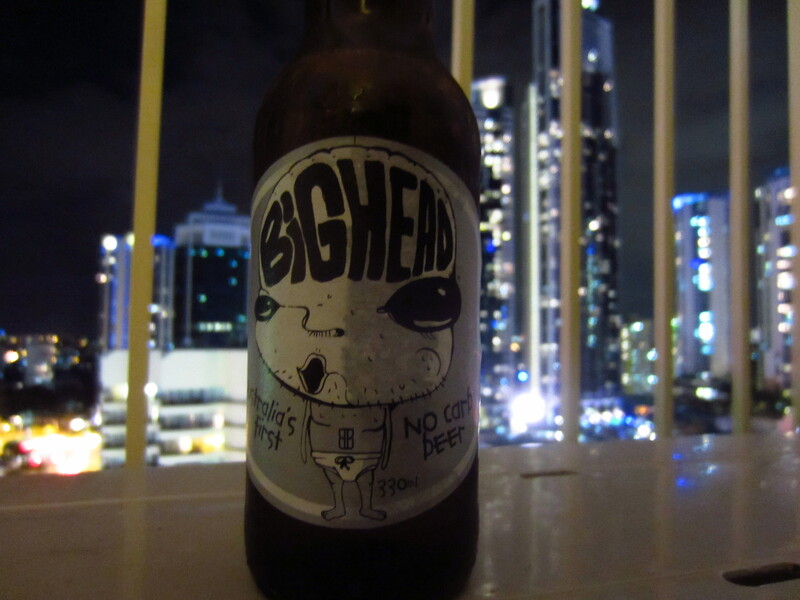 Sadly this is another beer which appears on the Malthouse list, but not at this time. Beer no. 3, Dogfish Head, 60 Minute Pale Ale. Delaware. ABV 6.0%. IBU 60. As you can see I could easily have finished my five beers of the American craft revolution in the 1980’s. 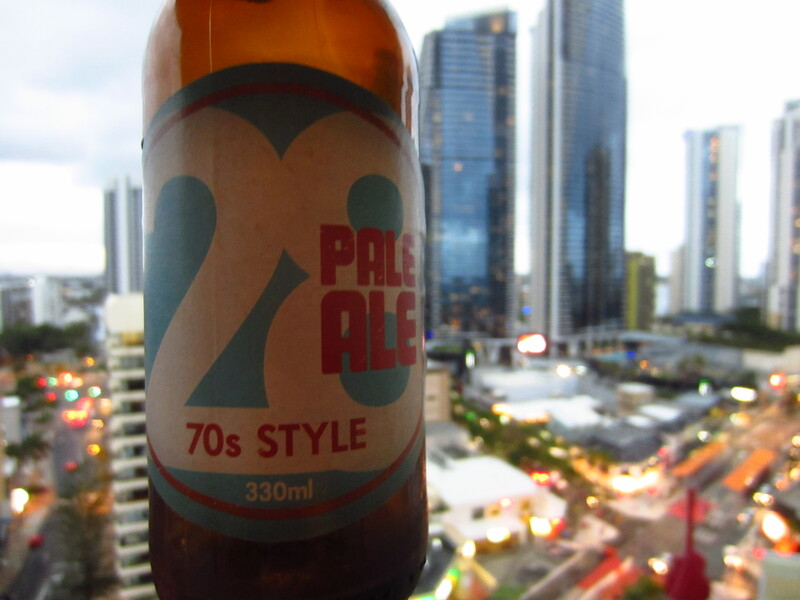 So for beer number three, of the beers available, I leapt ahead to the 1990’s. Sam Calagione and his wife opened the Dogfish Head brewpub in 1995. His first beer was a pale ale but Sam realized that his tiny brewery would need something different if it was to become anything greater. Sam Calagione would be at the forefront of another American revolution. Dogfish would be a leader in pushing boundaries; adding ingredients like organic Mexican coffee and licorice root to the brewing process. Sam would also take the use of hops to new levels, especially with his 60, 90 and 120 Minute Pale Ales, where hops were added to the brew every minute for 60, 90 and 120 minutes. Now our tasting sort of skewed the order a little here. Mostly, this was due to the available selection at Malthouse. Beer number four was to have been our last, but due to the lower IBU and respect to our taste buds it was promoted up the order. Beer no. 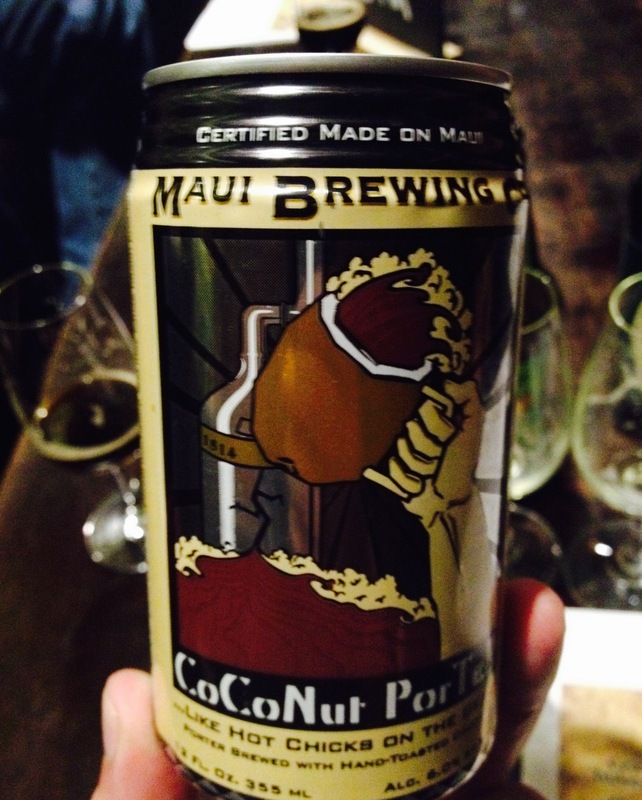 4, Maui Brewing Company, CoCoNut PorTeR. Maui, Hawaii. ABV 6.0%. IBU 30. I had chosen this session-ending beer to reflect the American craft beer scene as it is today. Good beer is being brewed in more far-flung places than ever before (or at least since post-prohibition in the United States). 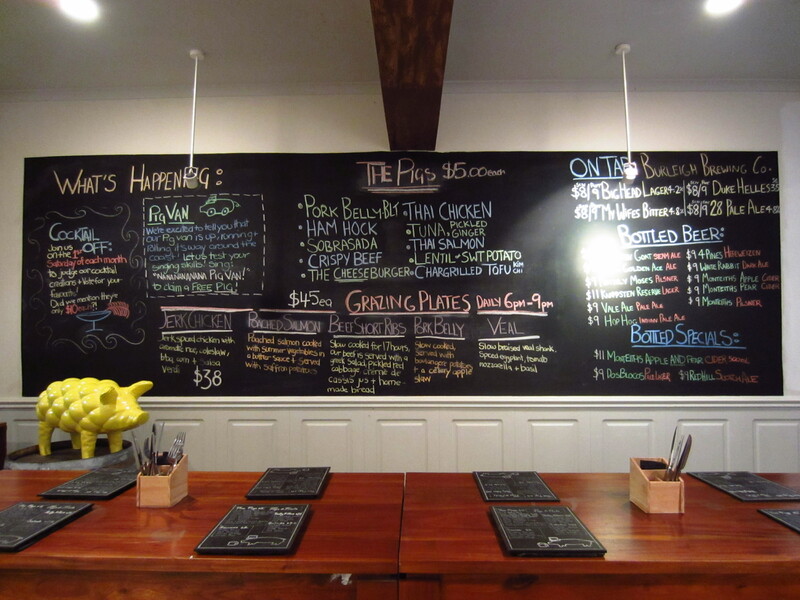 Clever people, using local ingredients are fueling this expansion to meet demand. Ciaran of the Malthouse had mentioned that Dave Kurth of Coromandel’s Hot Water Brewing may have had a hand in the CoCoNut PorTeR, but I forgot to fact-check with him. A Thirsty Boys tasting, as is our wont, strays and deviates as the night wears on. Along the way we had briefly discussed brewpubs. We had also discussed Phantom Craft, what we in New Zealand tend to call Faux Craft. 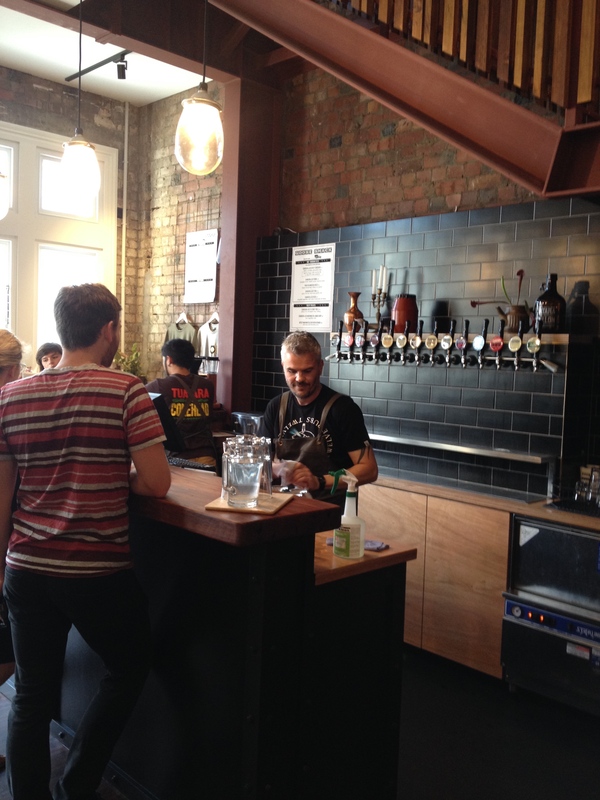 We had also discussed the similarities between the American craft beer revolution and the New Zealand craft beer scene. And so it was that beer number five also deviated, …into two beers. Beer no. 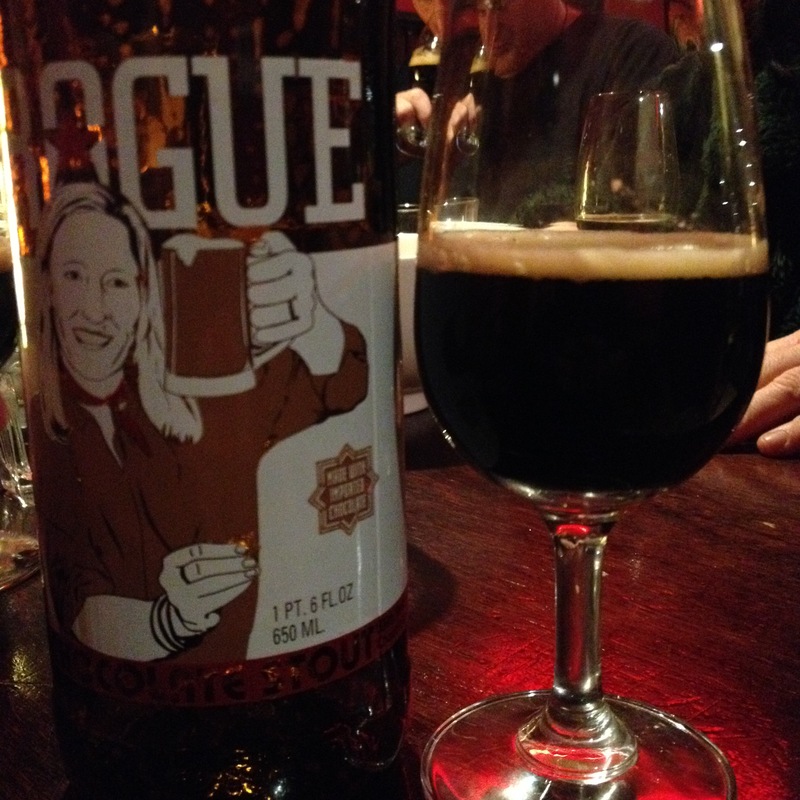 5, Rogue Ales, XS Dead Guy Ale. Newport, Oregon. ABV 8.1%. IBU 60. Beer no. 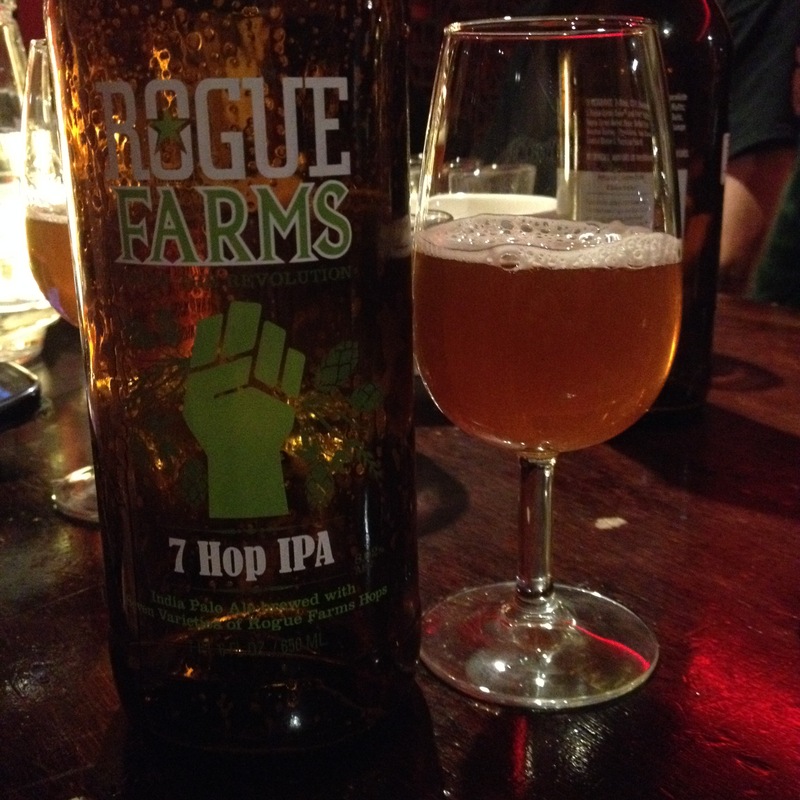 6, Rogue Ales, XS Imperial I2PA. Newport, Oregon. ABV 9.5%. IBU 95. 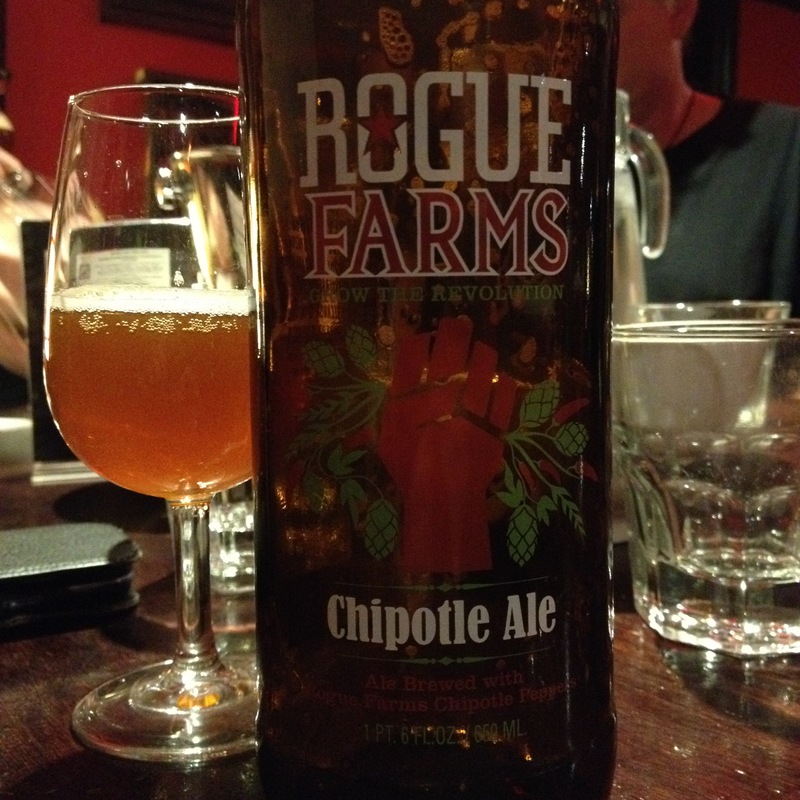 Like Dogfish, Rogue deserves its place in the extreme beers category. Founded by three Nike executives in 1988, Rogue is a Thirsties’ favourite. The XS range is excessive, and it was a fitting way to end our American craft beer revolution with a beer rating 95 IBU. Voted best beers? 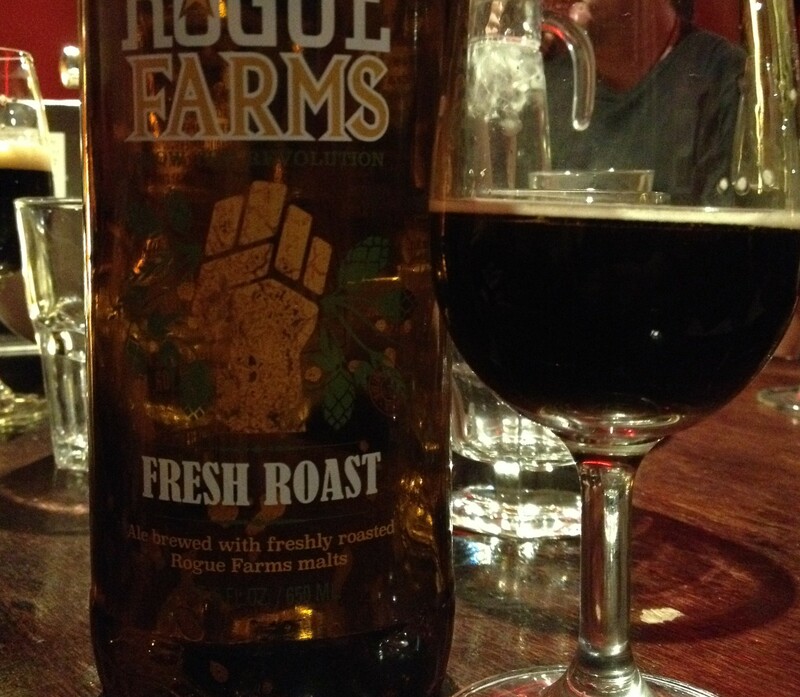 First was Thomas Taylor’s The Landlord, and second was Rogue XS Dead Guy Ale. The Brits scoring one back over the Americans. The last act of the night, however, was to toast my ancestor, Thomas Graves. 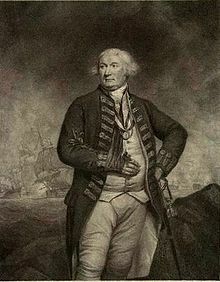 In 1781, Graves, a British Admiral, lost a naval battle which effectively for Britain, lost the American Revolution. It is with great pride that I celebrate the incompetence and failure of my family which resulted in the birth of a free nation. What would your 4th of July line-up be? 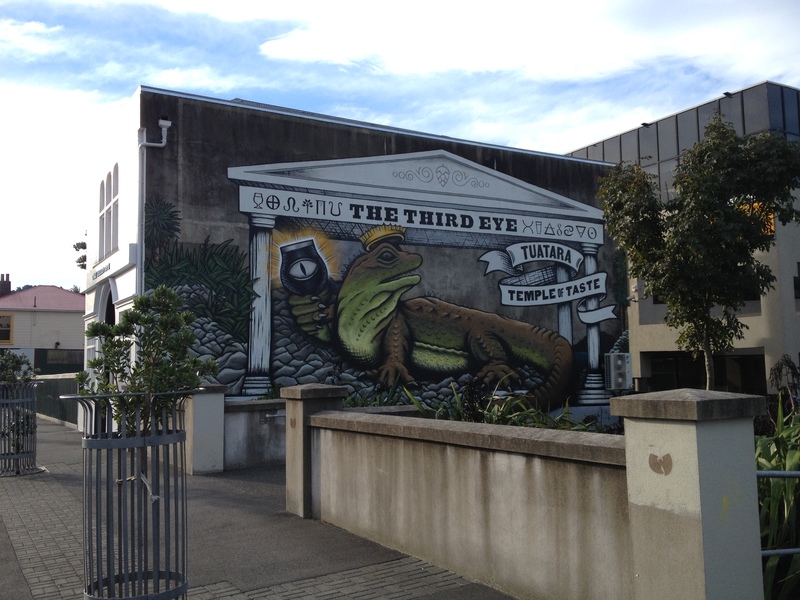 Location: 30 Arthur Street, between Taranaki Street and Cuba Street), Wellington, New Zealand. Ambience: Pub-Industrial. 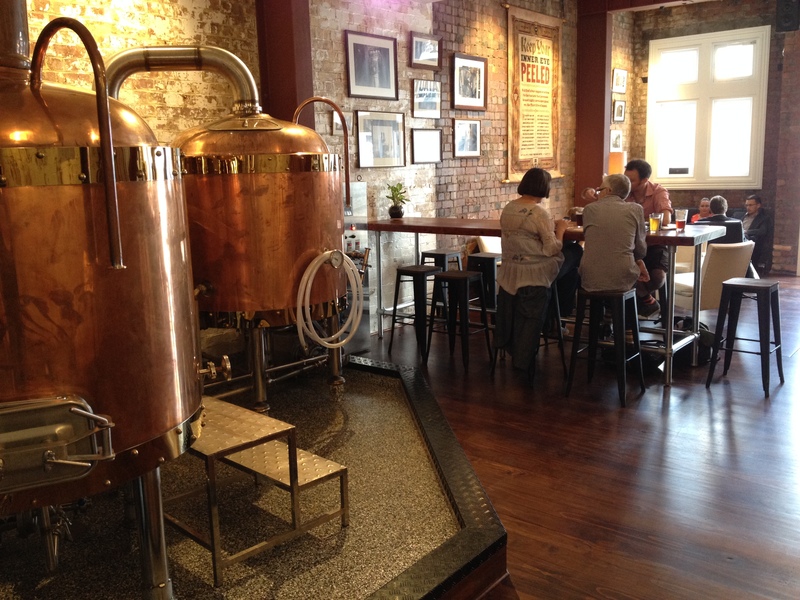 Lots of exposed brick and refinished timber plus copper and stainless steel brewing equipment. 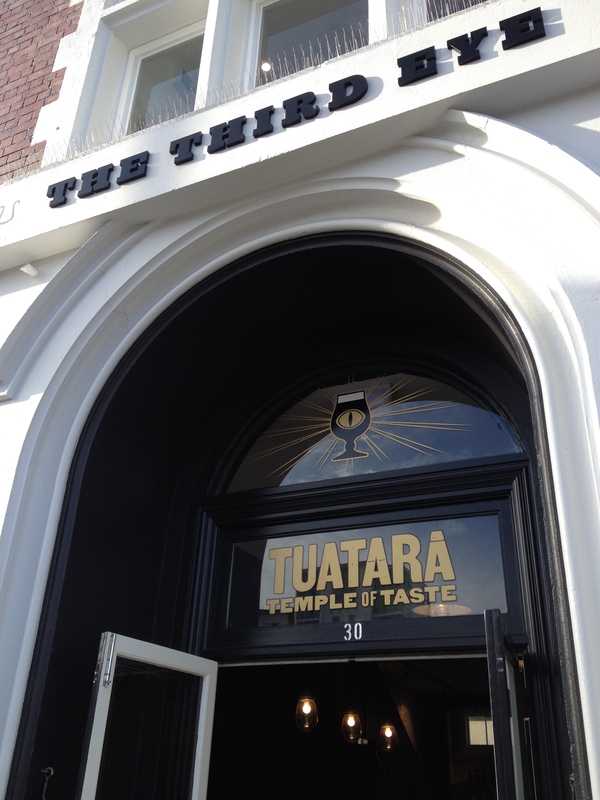 Beer selection: The offer is largely confined to the Tuatara range, along with the odd Cider and a guest tap (on this occasion Choice Bros’ Modern Love). 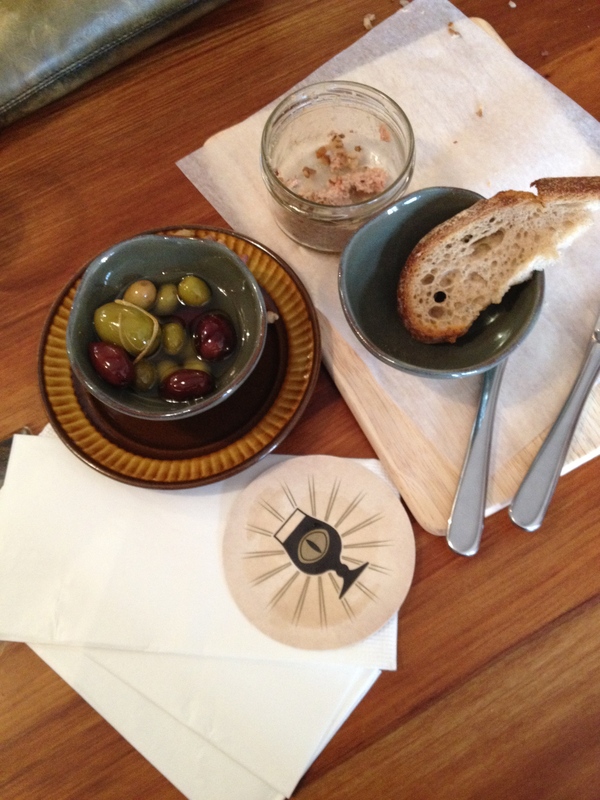 Food: House snacks include nuts, olives, and something called bacon nut spread. 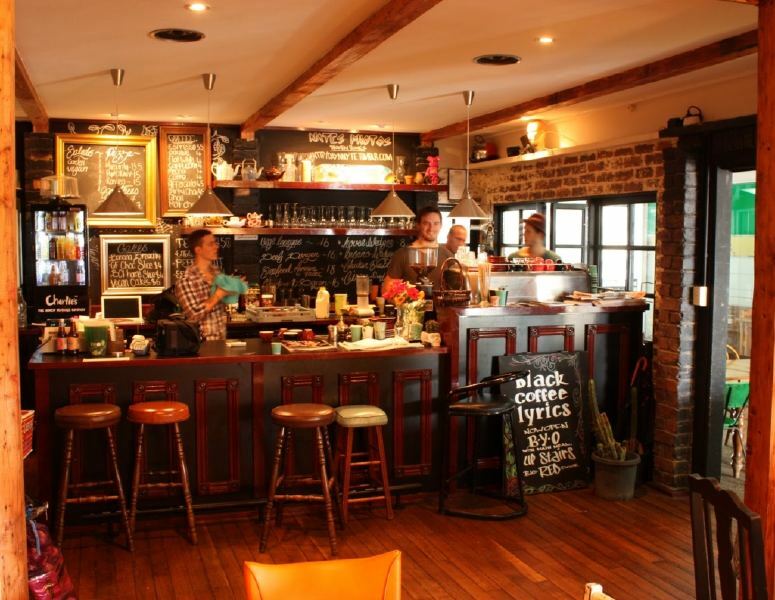 Toasted sandwiches and other grilled delicacies are provided by Goose Shack of Berhampore. 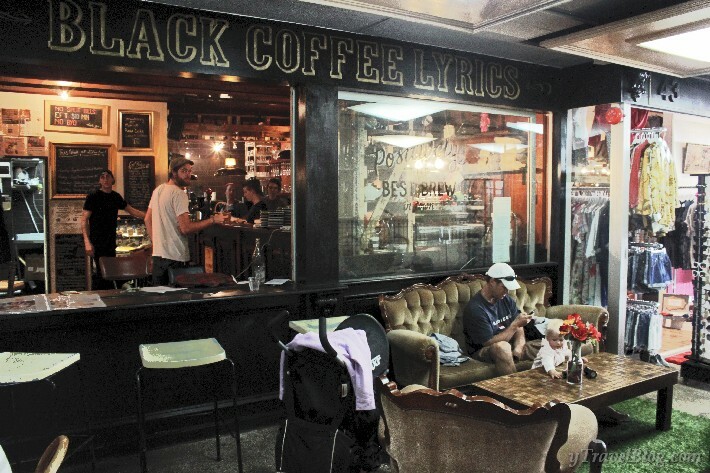 Service: The venue is run by the legendary Scott Boswell with assistance from Funk Estate maestro Shiggy (ex-Hashigo Zake) and various others. As we expected, the staff are knowledgable and friendly without exception. 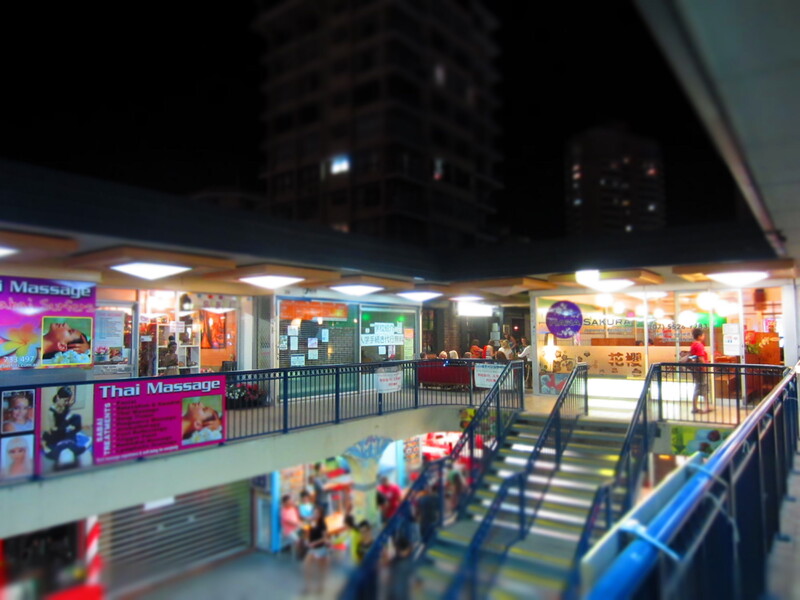 Clientele: Given the proximity to two Universities, there was a surprising lack of students and a preponderance of business dudes when we visited. This may or may not represent a trend. This is the sort of place: you can watch commuters in mid-existential crisis at the start of the urban motorway. Special features: A Spartan beer garden where the furniture appears to be made from repurposed pallets. Could be inviting in the right weather. 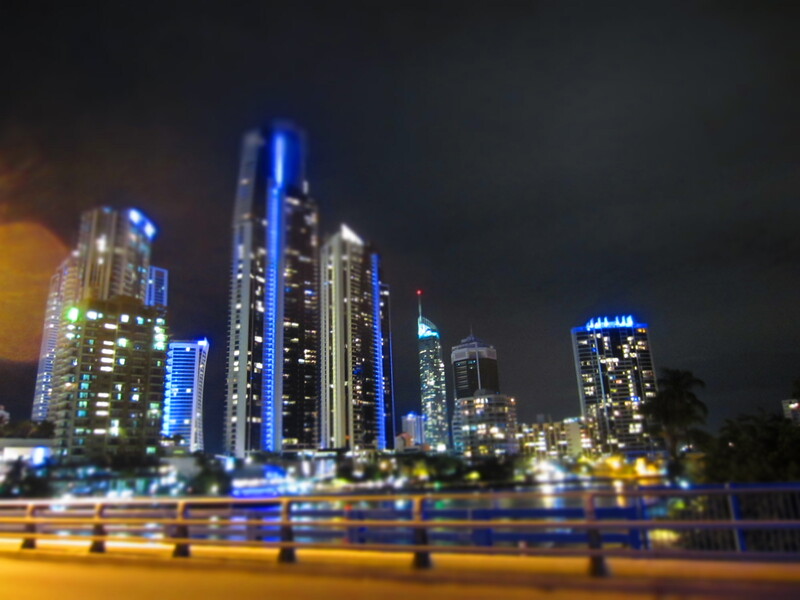 Could be quite jolly at night. Also. Wine and cheese is a pairing is viewed by many foodies as one of life’s great culinary pleasures. Less appreciated is the pairing of beer and cheese. This December, the Thirsties invited Lucy from the blog Life & Cheese and the intrepid brewers from The Garage Project, to join forces to do some serious match-making between their respective loves. Behind closed doors at the Garage Project, Lucy curated an enticing cheese board featuring an alliance of cheesy goodness from France and England. Around the cheese board clockwise: Valancay (pyramid shaped), Delice de Bourgogne, Beaufort, Keens Cheddar and Stichelton. 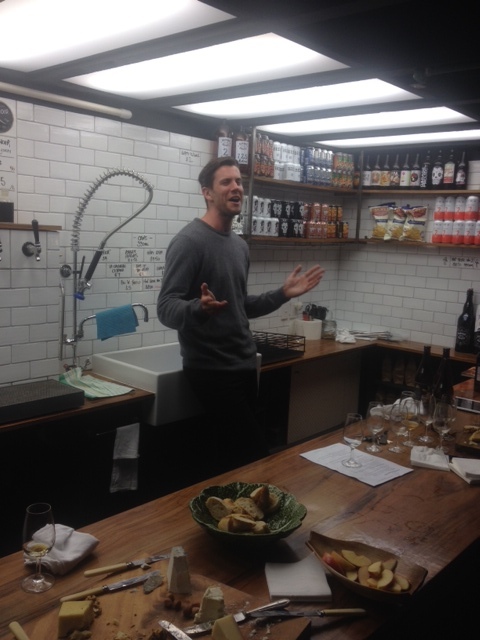 As we hungrily eyed up the boards of white gold, Phil from The Garage Project poured us a cheerful taster of Hāpi Daze, and Lucy gave us a run down on how to get the most out of our cheese and beer tasting during the evening. This included the command that bread was only to be consumed as palette cleanser and not as a cheese carrier. Her most memorable piece of advice, however, was on how to make a ‘cheesy highway’ in our mouths for the beer to slosh down. As we earnestly concentrated on preparing our cheesy highways with a slice of Valançay, a nutty, fudgy raw goat cheese, Phil poured our first match-fit beer, Summer Sommer, the brewery’s ‘love child’ with iconic Norwegian craft brewery Nøgne Ø. As the honey coloured liquor hurtled down 15 different highways, Lucy told us that acidic goat cheeses are good at holding their ground against hoppy IPAs, and their lemony tang complements lightly spiced beers. 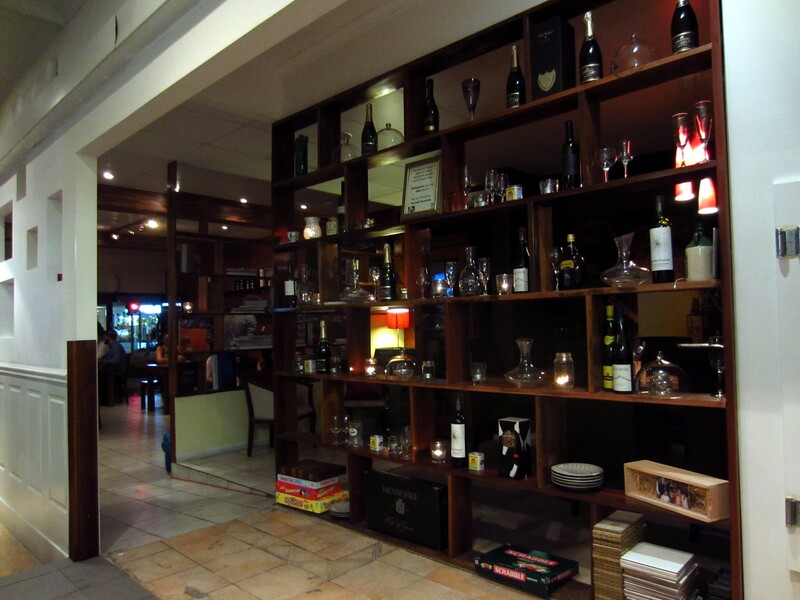 The Valançay was fresh and springy – a little too young for some palettes. With the addition of a mouthful of Summer Sommer, however, it happily changed seasons. It may not have been love, but a pleasant summer day’s match was made. Whereas most beer tastings move slowly from light to dark, Lucy threw out the rules with her second pairing. 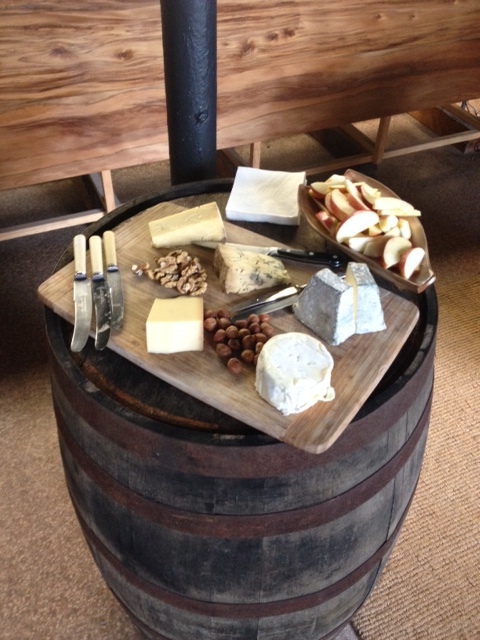 Next inline on the cheese board was a plump, luxurious and silky looking cheese. When cut, it revealed its triple cream gloopiness in all its glory. It’s name was Délice de Bourgogne – a femme fatale of cheese if there ever was one. 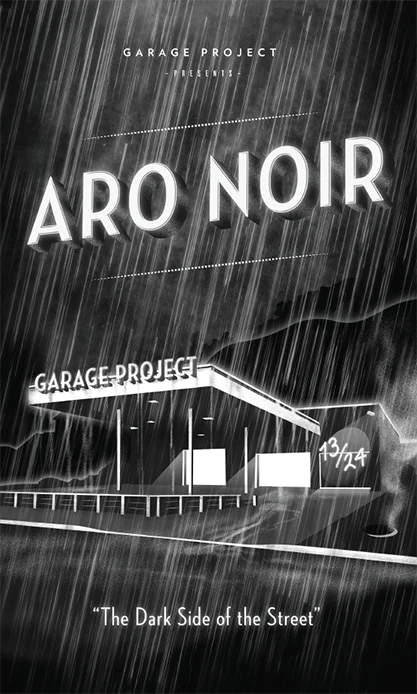 It was the perfect cheese, Lucy decided to star alongside a dark glass of Aro Noir, the Garage Project’s ‘stout for all seasons’. 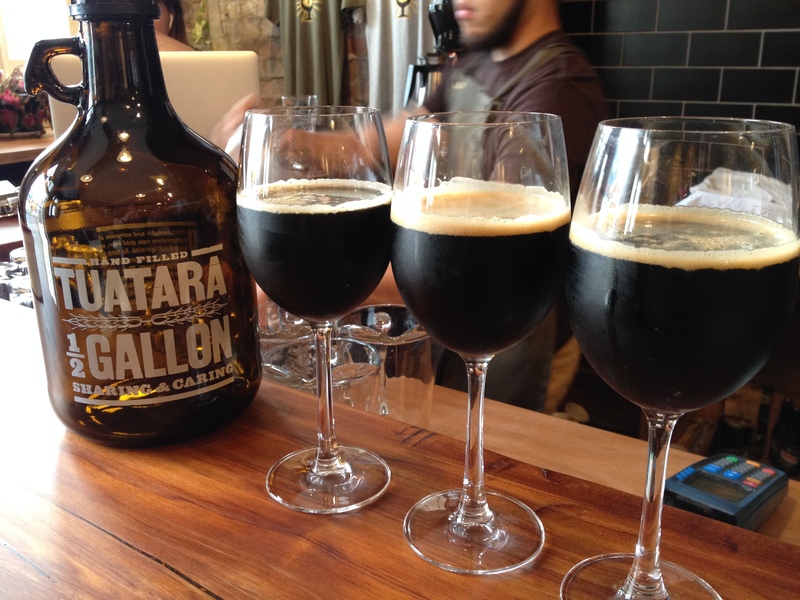 Fittingly, as the glasses were poured, Wellington’s skies darkened and the asphalt outside the brewery became slick with rain. 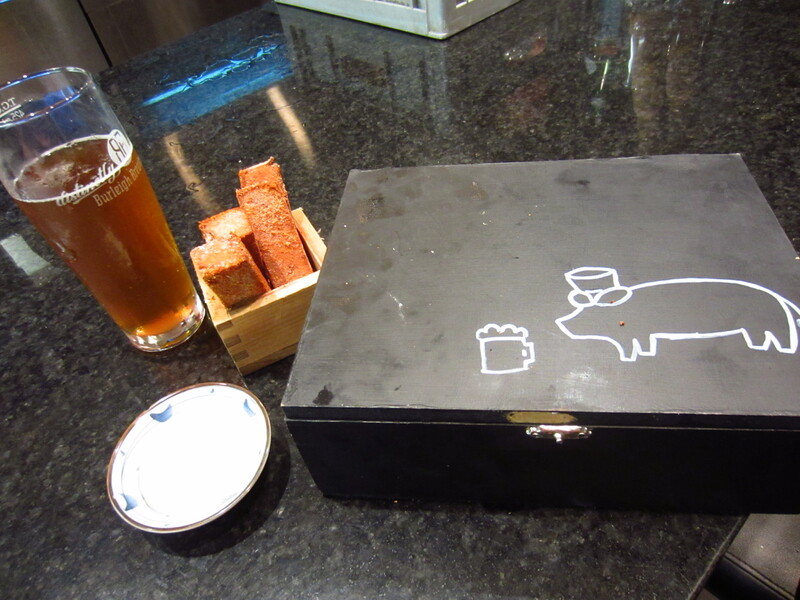 I had initially been dubious about the pairing of the Délice and Noir – I was a fan of hard cheeses with stouts. Lucy assured us, however, that ‘the lactic sweetness of triple creams create magic with malty triples, stouts and porters’. We might not have been fully listening by then, however, as the magic had already begun to play out on the cheesy highway which had become a highway to heaven. Everyone fell head over heels for Délice’s seductive charms, and a near perfect match was made between an elegant French import and a beer from the wrong side of the valley. Two cheeses down, and three to go, and already we had reached perfection. Had the evening peaked too soon? Having delved into the dark side we were back in the sun with Pils ‘n’ Thrills, a citrusy American hopped pilsener. Lucy paired this with Beaufort, a raw, alpine cheese from Savoie, France. Smooth, fruity, nutty and sweet, it is known as a ‘friendly’ cheese and one of France’s, and now Malice’s, all time favourites. True to form, it went with every beer we tried as ‘alpine cheeses have the body to stand up to malty porter and stouts and the sweetness to pair with ESB, lager or pilsners’. However, it was super good with Pils ‘n’ Thrills. Somehow, it made the beer’s citrusy nature, something I typically run a mile from, so much more palatable and enjoyable. 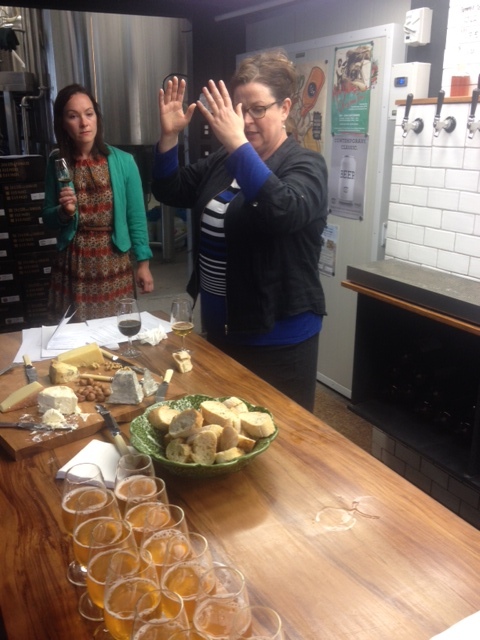 Lucy from Life and Cheese enthuses about Beaufort, the ‘Heidi of cheeses’, in front of a line up of Pils n Thrills. Sometime about now, three young, brazen Argentinian tourists hustled their way into the brewery, proffering an empty Garage Project bottle. They were leaving the next day, and were desperate to savour every drop they possibly could. Ian took pity on the damp trio, refilled their bottle and wished them well for their travels. Meanwhile, back on the cheeseboard we were crossing the channel to England, to a hard, crumbly cheddar and curmudgeonly looking blue. 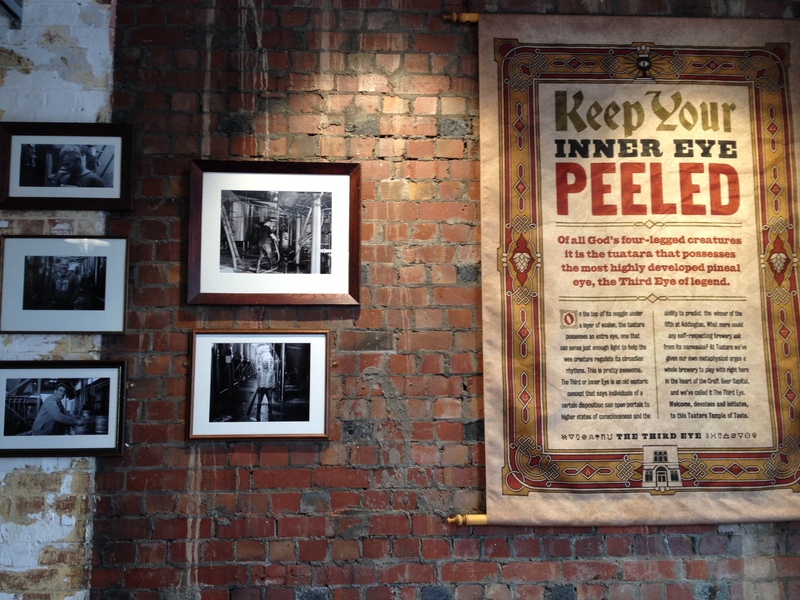 The cheddar was made by the Keens, a family from Somerset who have been making cheddar since 1899. If you are travelling their way, you can purchase cheese directly from their farm in 25kg, 3kg and 1.5kg truckles (a truckle being a fancier and more fun way of saying wheel of cheese). We didn’t quite have a truckle, but we ate a fair amount of cheddar, for as Lucy decreed ‘its made for beer’. While IPAs complement its sharp kick, malty ESB, stouts and sweet barley wines lure out cheddar’s sweeter side. The Garage Project’s Ian matched this traditional cheese with the brewery’s futuristic Venusian Pale Ale, a zesty beer full of lemon grass, kaffir lime leaf and grapefruit peel and spiced with a touch of Venusian Spear Fungus for that extra special kick. Ian from the Garage Project spins a tall tale about the trials and tribulations of gathering Venusian Spear Fungus. And then last, but never lest, there was the gnarly old blue – not a Stilton but a Stichelton from Nottinghamshire – a raw milk cheese Lucy had once flown across the world to try, but which she managed to buy more cheaply at Moore Wilson’s for our tasting. Our last cheese of the night was born over a glass of beer. Legend has it that one evening way back in 2004, a cheese maker with the unlikely name of Joe Schneider was having a beer in a London pub with Randolph Hodgson, chairman of Neal’s Yard Dairy, the cheese-lover’s mecca. 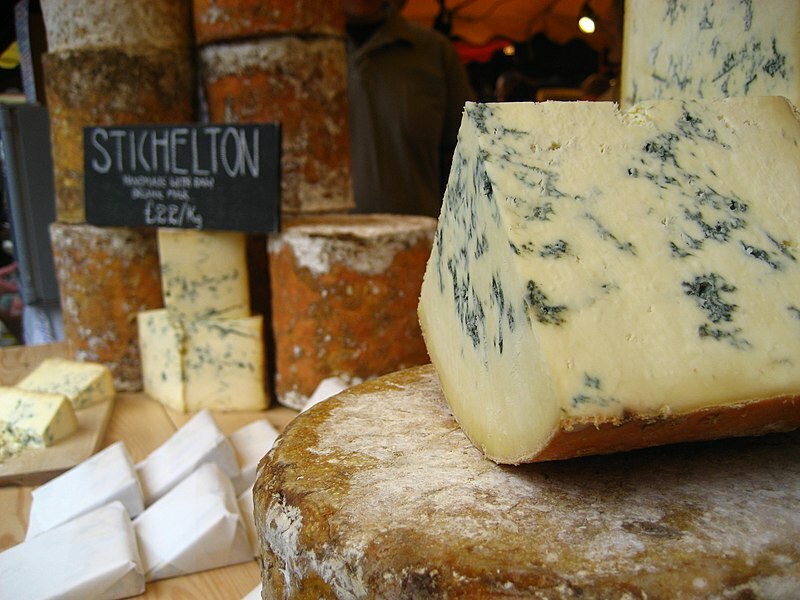 The cheese born over a beer – the mighty Stichelton. 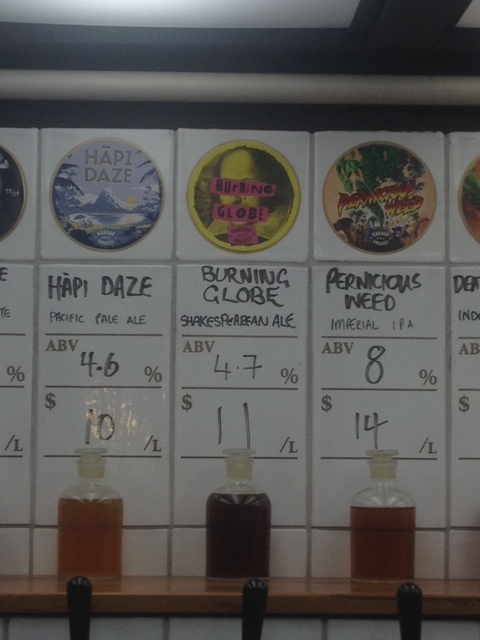 Burning Globe on tap – a once a year treat. As the Globe had been made from oak, Maddie insisted that the beer was brewed with oak-smoked wheat malt. (You can read Maddie’s account here). Brewed only once a year, Burning Globe is simply too delicious to waste on putting out a fire. Indeed, The Little One pronounced Burning Globe as evening’s stand-out, declaring that she had found her one true Garage Project Beer. 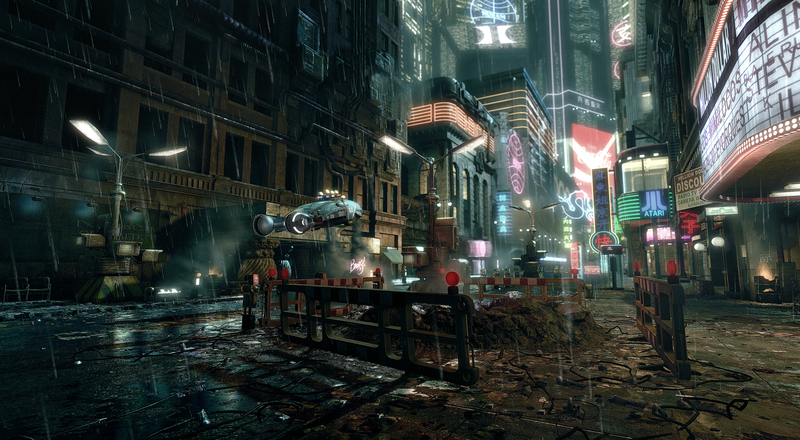 In regards to a match for the old blue, however, she thought the Stichelton ‘really hummed’ with the Aro Noir and VPA. While Burning Globe was much admired all round, and it was agreed that many of the cheeses could be happily eaten with many of the beers, the stand out match for the evening was by total agreement the voluptuous Délice de Bourgogne with a glass of slick Aro Noir – cheese and beer perfection. The cheesy remains of an evening well spent. 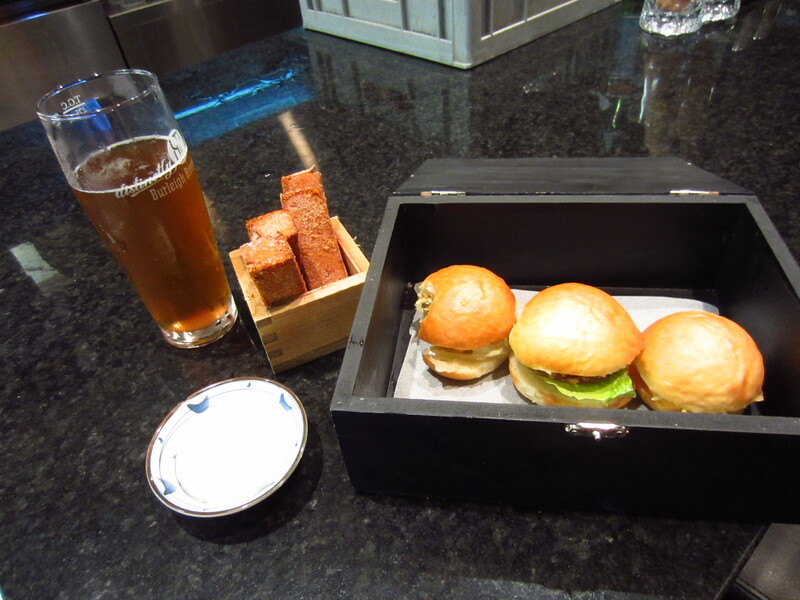 With only the nubbins left, the evening came to a close, and we made our way home clutching our cheesy beer babies. Thankfully the rain had stopped. 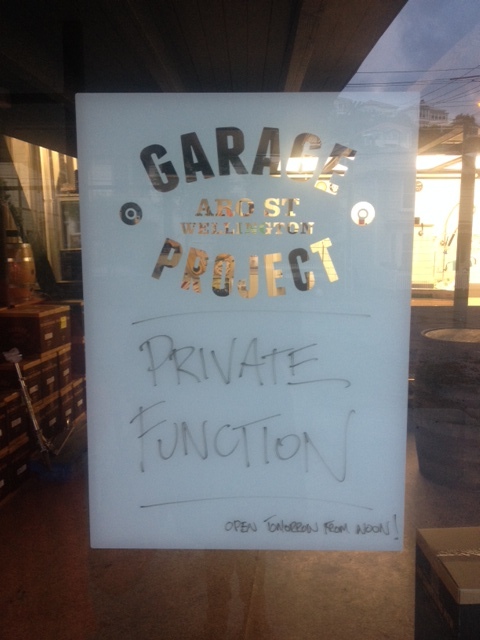 A big thanks to Lucy and Kate from Life & Cheese and to Phil and Ian from the Garage Project for hosting us. 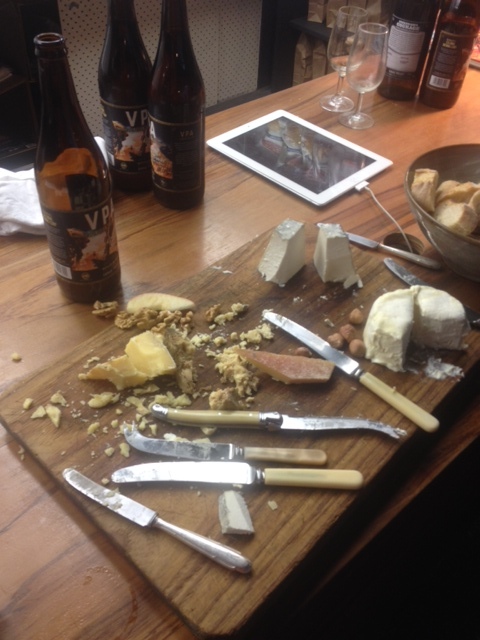 It was a great night, full delicious beer and cheese, passion, history and tall tales. We now feel qualified to make cheesy highways on our own. All of the cheeses described above, with the exception of the Stichelton, can be purchased from Wellington’s Francophile haven, Le Marche Français. 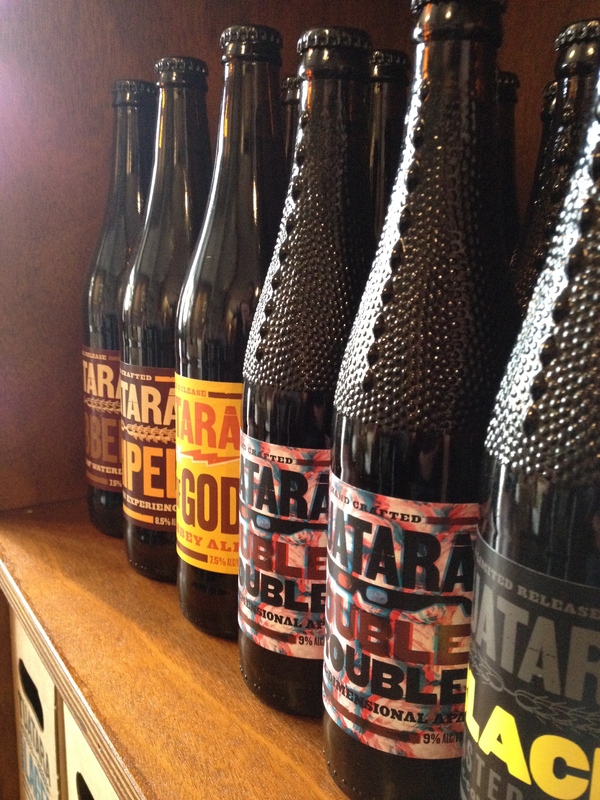 The beers of course can be purchased directly from the Garage Project’s cellar door at 68 Aro Street, Wellington. The delicious bread, which must also get a mention, was baked by Acme.